The sentiment, even in its stilted English, was as clear as day. As the women of RePapel continued to welcome us to their workshop, their enthusiasm overflowed. We clapped as they introduced themselves and forgot—in their excitement—what they had wanted to say to the rows of expectant faces seated just outside their bright turquoise headquarters. This was the beginning of impact travel. 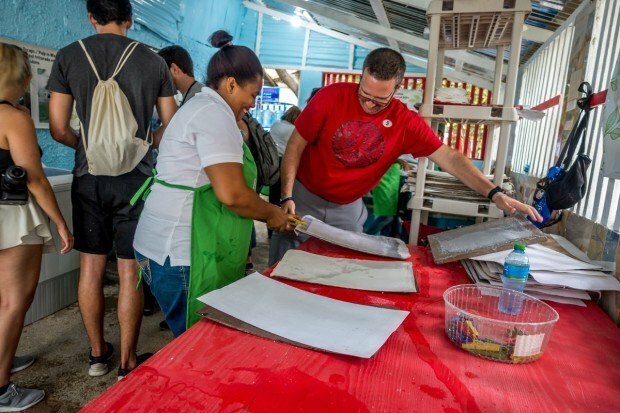 Our group of about 40 eager travelers was the first to receive the exuberant welcome at RePapel, a women’s collective in Puerto Plata, Dominican Republic, which makes recycled paper products and crafts. Less than an hour earlier, we had disembarked the first Fathom cruise ship (Adonia) to arrive in Amber Cove port and boarded buses headed into the community. We were hopeful and motivated and just a tiny bit unsure what to expect from our first impact activity. It was certainly not a typical shore excursion. After the clapping-singing-dancing introduction, it was time to focus on why we were there—to make an impact. My small group began at the expected beginning of any recycled paper project by shredding paper. We sorted through the scratch paper, letters, contracts, and junk mail, separating the white paper from that with ink of any kind. 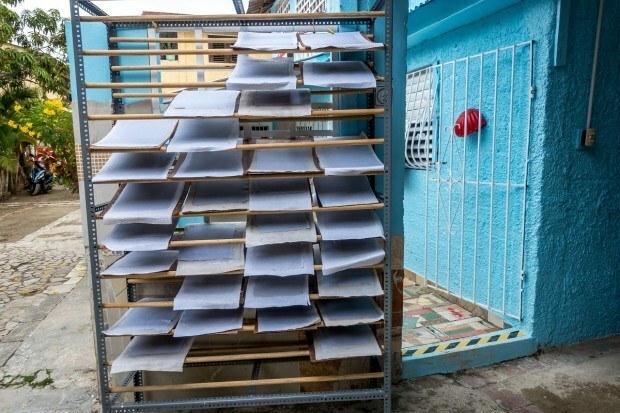 Reusing the volumes of discarded paper this way ensures that they don’t end up in the street or contaminating the water, which is a real problem in a place where trash doesn’t always make it into a trashcan and you can’t always guarantee garbage collection anyway. 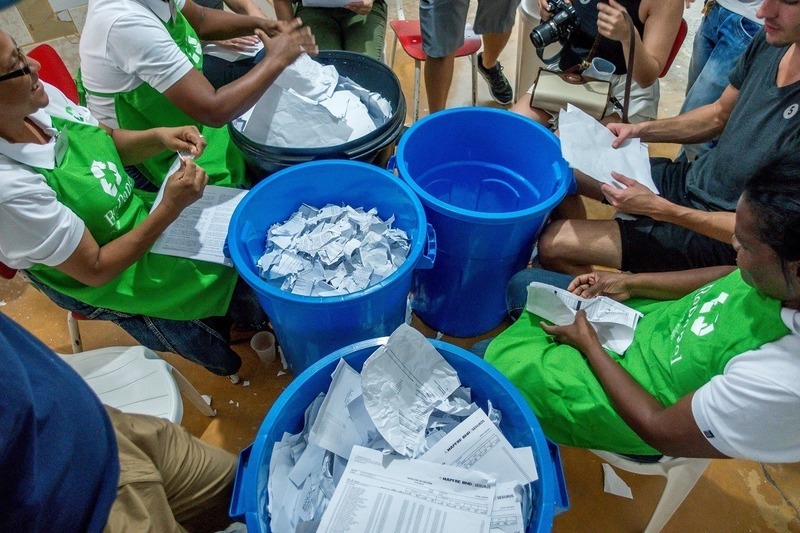 From shredding, we moved on to the heart of the paper-making process. 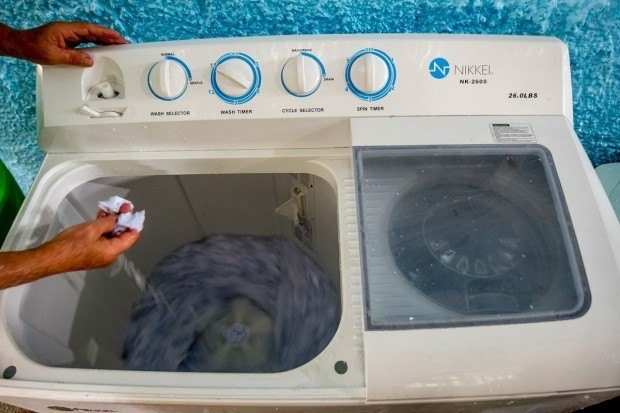 And a washing machine. Yes, the paper actually gets washed in a washing machine before being pulverized in a blender. The pulp is then put in a frame, drained, and rolled to smooth out any bubbles before it dries. Our group divided among the different stations, and between spontaneous versions of La Bamba and dancing, got to work making as many sheets as we could blend and roll. 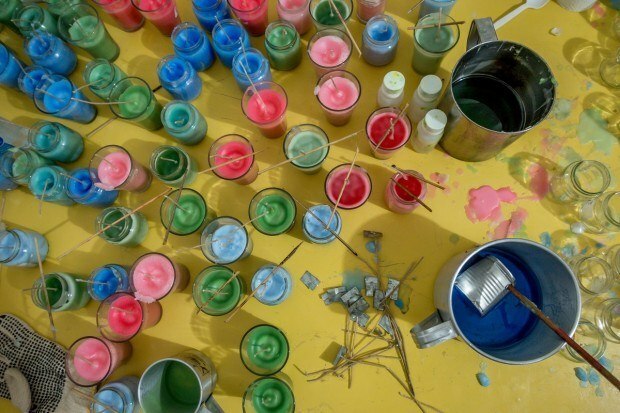 After making the paper, it was time to make some coasters, candles, and other crafts that are sold in the gift shop at headquarters and at a kiosk at Amber Cove. In just about three hours at RePapel, we helped the collective produce three times the amount of paper they usually make in one day. There were also numerous necklaces made of coffee beans, candles, woven bracelets, and other crafts added to their selection. The revenue from these items will help the women afford healthcare, encourage their children’s education, and support their families, which is no small thing in the male-dominated culture of the Dominican Republic. Most visitors likely think of the resorts, snorkeling, and pristine beaches when they think of the Dominican Republic. And they would be right. But there’s more to it than that. In addition to the waterfalls, mountains, and lovely attractions that most tourists see, the Dominican Republic struggles with unemployment, government corruption, and lack of basic services like electricity. Forty percent of the population there lives below the poverty line. 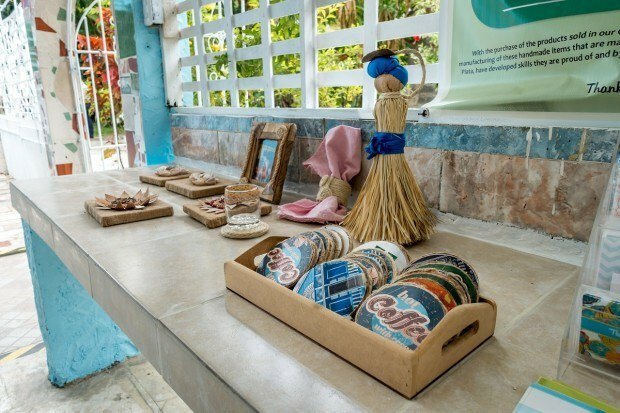 Fathom cruise line has partnered with two local community development organizations – IDDI and Entrena – that work to improve the lives of those in and around Puerto Plata (where Fathom docks). This is important because rather than creating its own activities which may or may not have the anticipated benefit, Fathom is working with established agencies who know where there is real need. As a result, travelers can help children and adults with their English skills and make water filters for local families. They can pour concrete floors, which forever (and immediately) change the lives of recipients. 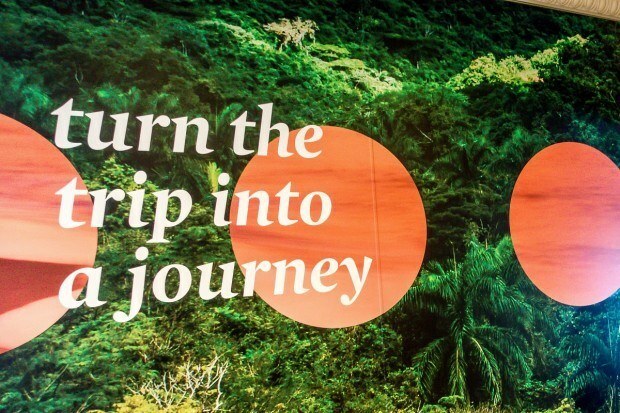 Like me, travelers with Fathom cruises can also contribute to the women’s collectives making a business from recycled paper or from artisanal chocolate, and they can help in reforestation efforts on different parts of the island. The impact activities last about 4-6 hours. If they choose to, visitors have the opportunity to participate in several during the 3.5 days Adonia is in port. In fact, many people choose a morning and an afternoon activity. It can make for a busy day. But the unexpected thing about impact travel was that rather than feel tired from the energy expended, most of my fellow Fathom cruise travelers came away feeling re-energized by the spirits of the Dominicans we were working with. That energy continued with programming on-board, too. On a typical cruise, you might have The Newlywed Game or a show featuring a medley of Broadway tunes. On a Fathom cruise, you get workshops focusing on storytelling, designing your life, and ways to be more productive. It’s all done with an eye toward thinking deeply about your experiences and forging stronger connections with your fellow passengers and with others once you return home. Of course, there are lighthearted evening parties and cocktail classes, too — after all, it is vacation. But the variety of things to do on a Fathom cruise leads to a more cohesive feel with what you’re doing on and off the ship. 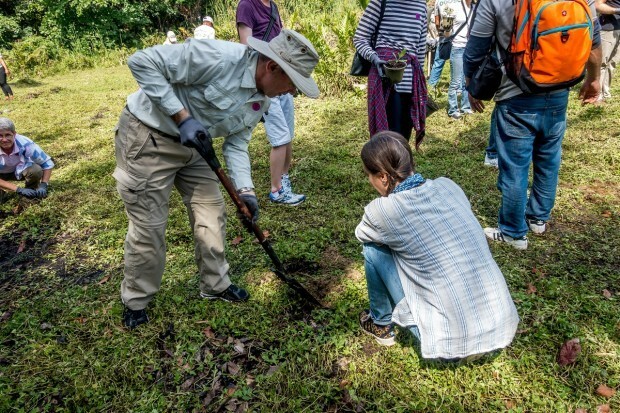 Days 2 and 3 in the Dominican Republic brought two more activities – volunteering at a women’s chocolate cooperative in the Altamira section of Puerto Plata and reforestation efforts along a community lagoon. 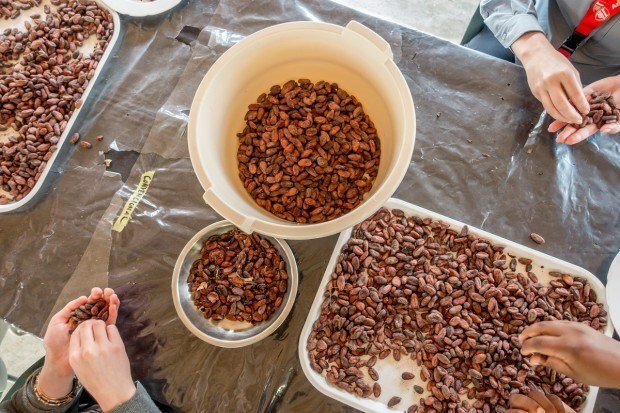 At the chocolate cooperative, Chocal, we had the chance to participate in almost all the stages of chocolate production. From sorting cocoa beans and nibs to wrapping and packaging the bars, we were hard at work alongside the employees who guided our efforts. There were competitions among the groups for free chocolate, which proved to be the perfect motivator to move very quickly. We sorted volumes of raw materials and wrapped over 1600 bars for sale. I loved my experiences at Chocal and RePapel, but there’s also something very satisfying about literally getting your hands dirty. That chance came during the reforestation impact travel activity I participated in. Thanks to efforts by the community development group IDDI who grew the seedlings indoors, we arrived at our destination with over 300 mangrove tree seedlings waiting to be planted. Our goal was to replenish a local lagoon area where residents have filled in parts of the wetland area with sand in order to build homes. 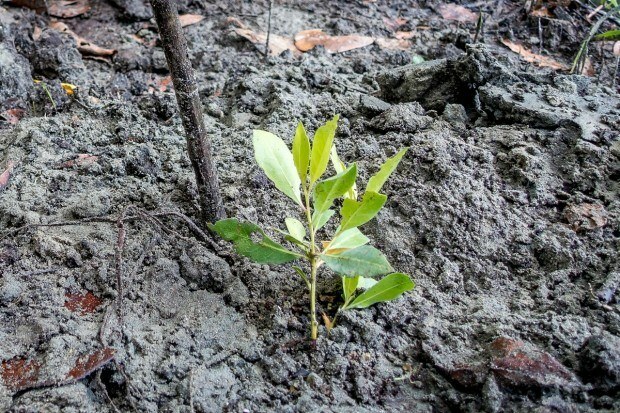 Planting the trees will not only deter the destruction of the area but the mangroves help purify the water, provide animal habitats, and reinforce the land in the face of fierce Caribbean storms. We organized ourselves into plant carriers, diggers, and planters, spreading out across a marshy area and then along a waterway. By the end of our few hours, we were more than a little muddy but also quite happy at our progress. In just a few hours, we planted over 350 seedlings that we hope will benefit the area for decades. The 400 or so participants in the inaugural Fathom cruise had a big impact in a short amount of time. During our 3.5 days on shore, we helped nearly 650 students and adults practice their English-language skills. We produced 50 water filters, which will change the lives and improve the health of the families who receive them. 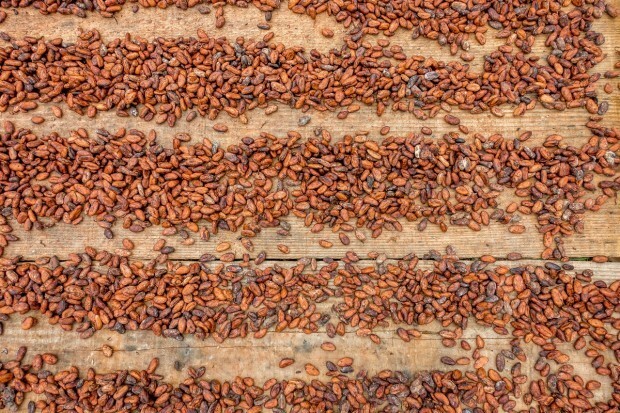 Our group also planted more than 2,400 seeds and trees and cleaned more than 200 pounds of cacao nibs. 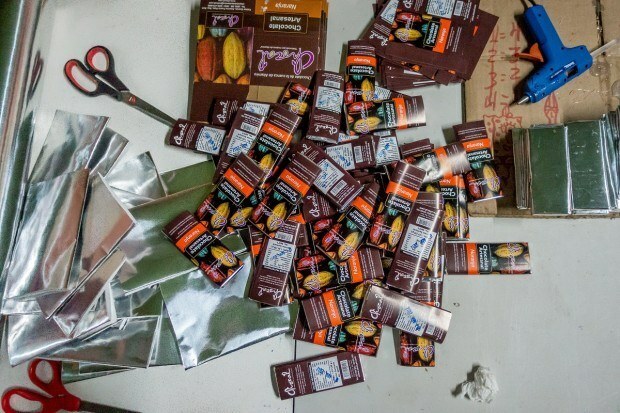 It’s great to say that more than 6,000 chocolate bars are ready for sale but even better to realize that 20 people who live in the two houses that received concrete floors can walk, play, and clean in a healthier and more relaxed environment. Fathom’s goal is to let us continue to see the impact of our efforts over time with updates about the businesses, the students, the trees, and more. This article was originally published in May 2016. 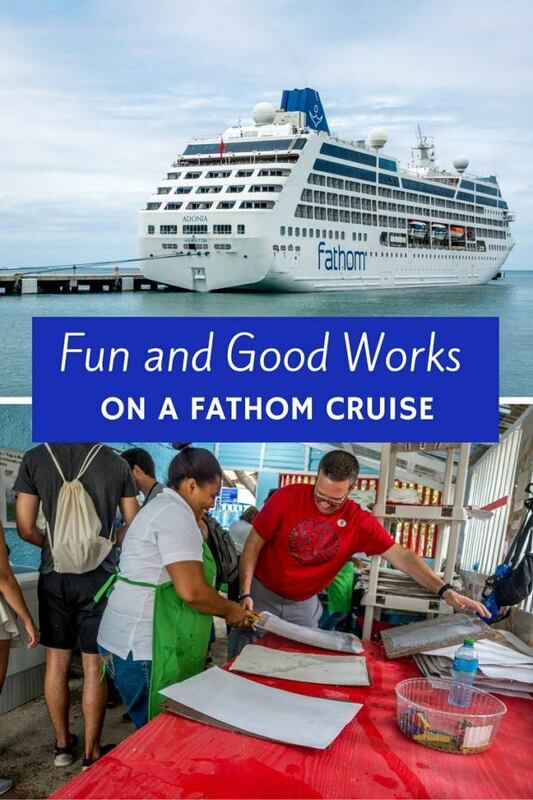 Fathom activities are now run in conjunction with cruises from the cruise lines of Carnival Corporation. I was a guest of Fathom cruise line. All opinions of the relaxing and rewarding are my own. Would you go on a trip that included activities like these? What do you think about Make an Impact on a Fathom Cruise? Great post Laura!!! Enjoyed reading about your experience and happy I was able to meet you. How safe and exciting was it for kids ages 8 and up? I think it’s totally safe for kids. There were several at all of the activities I participated in. I would not use the word “exciting,” though, as the point is to volunteer and help others. The kids on my cruise seemed to really enjoy themselves and enjoyed interacting with the Dominican children who participated in the English conversation program. They were also very mature and respectful and got a lot out of it, even at age 8, but I think that’s a credit to the parents knowing their child well enough to know that this would benefit them. This sounds like an awesome program/vacation. I am an American living in the Dominican Republic and I own a small transportation business for tourist. If I can ever be of help with transportation we would love to help. We will try and do it for no cost or at most only gas. If we can be of any assistance to you whatsoever, please contact me.